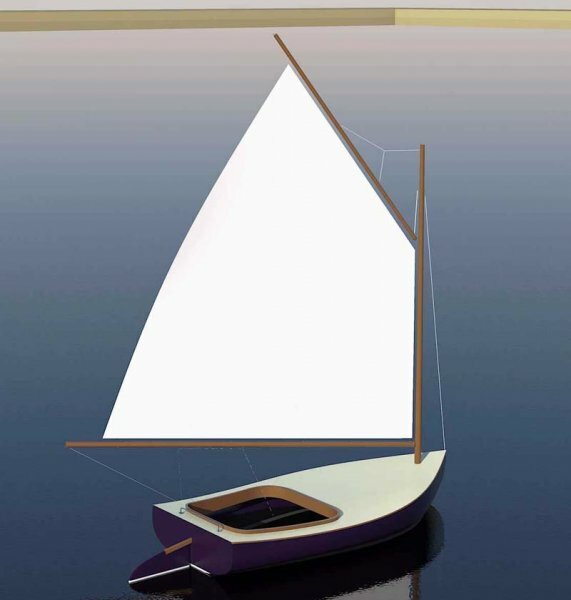 I decided to design one with the aim of building it in the summer. My intended construction method for the hull was strip planking over frames (some permanent, some as templates), covered with fiberglass cloth bedded in epoxy resin. …as seems to happen quite frequently, it didn’t happen! Work on the house had to take priority. 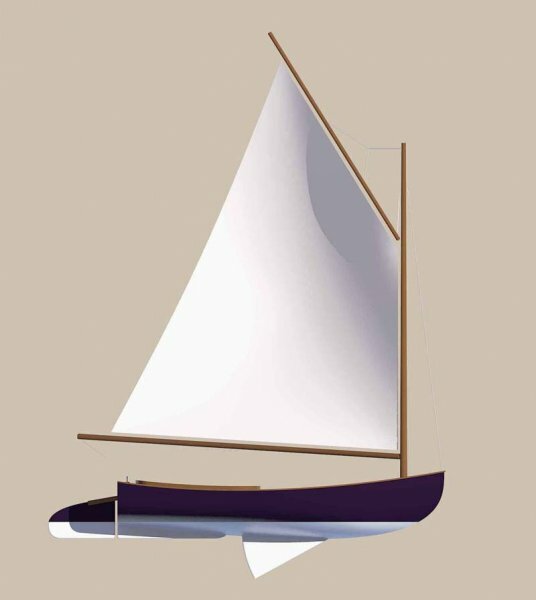 Having recently revisited the drawings I decided to offer the design as a set of templates from which an experienced builder could build the hull and add their own design input in the detailed aspects of construction, interior, centerboard, rudder and sail. So, what’s on offer here is simply a set of line drawings that give sufficient information to determine the shape of the hull. 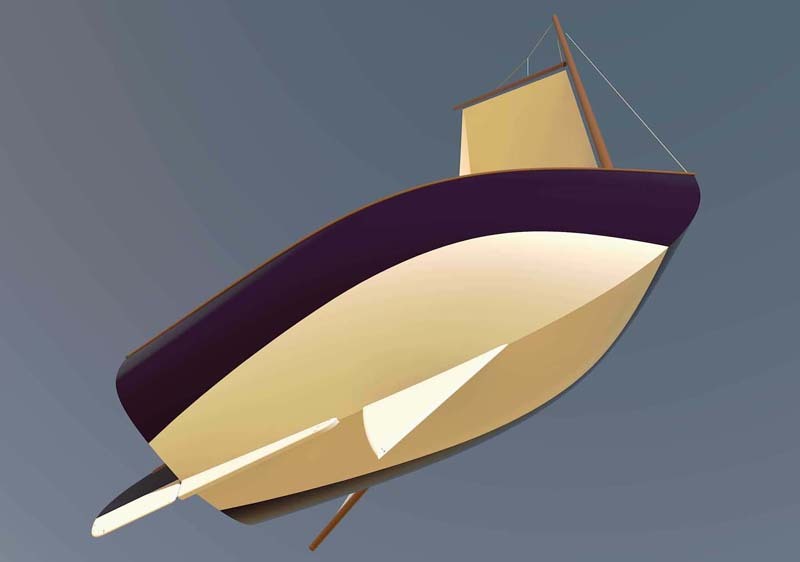 The hull drawing was created in 3D software. 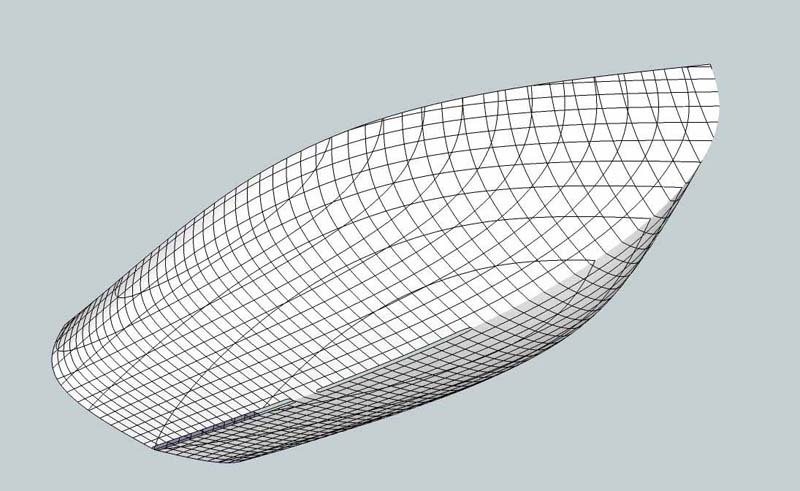 I created the hull then, in the x, y and z coordinates, I sliced sections, 4″ apart. All of these sections are presented as scale drawings on a 2″ grid. In addition they can also be provided on an Autocad .dwg file. Clearly, I have provided far more sections than are needed to build a boat but, the amount of information provided should give the builder plenty of scope to make their own choices for locations of permanent and temporary frames. 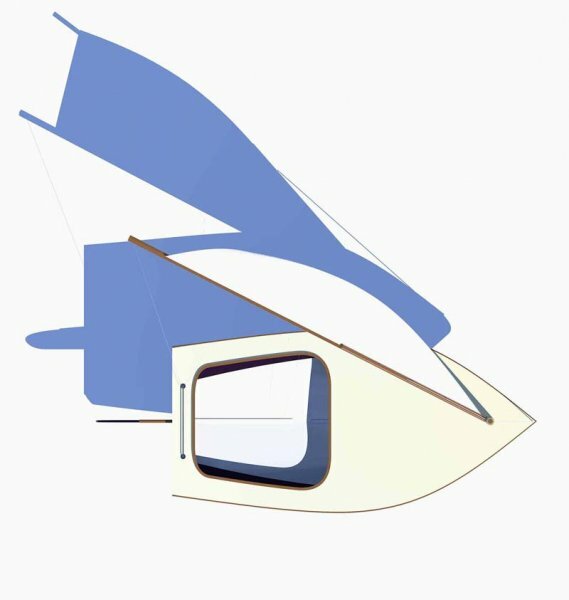 Because the design exists as a 3D software model, the implementation of scale changes on the x, y and z axes and production of revised section slices is a relatively straightforward task. So, for those seriously interested, I can provide revised hull drawings, scaled as required for a relatively small extra charge.